Help us to design a programme for you! The call for abstract submissions is now open. We have listened to delegate feedback and have made special efforts to highlight poster presentations in 2017. We will organise guided poster sessions (at lunchtime with minimal competition), there will be a poster pitch session as part of the parallel programme, and we will host a posters networking reception with refreshments. Be a part of this programme. EASO is celebrating its 30th anniversary! We are delighted to announce the 30th anniversary of the founding of EASO this year. Looking back on EASO’s history reveals an impressive success story and encourages all of us to tackle current and future challenges in the field of obesity. Read the history of the organisation on the Obesity Facts website. We are pleased to announce that the latest issue of Obesity Facts, 2016 issue 5, is available online. View the issue on the OFA website. A new and comprehensive analysis of digital marketing to children of foods high in fats, salt and sugars in the WHO European Region is now available. In the absence of effective regulation of digital media in many European countries, the WHO European region calls for immediate action by policy-makers to recognize and address the growing challenge of marketing targeted to children via digital media. Read the publication on the WHO website. We spoke with Professor Halford, co-founder of both the Human Ingestive Behaviour Laboratory at The University of Liverpool and the Liverpool Obesity Research Network (LORN) about his work in appetite and behaviour and learned about his most recent work. We are currently developing the scientific programme and you have an opportunity to shape it. Help us create a programme that meets your needs, by submitting an abstract or symposium suggestion. The calls for symposia suggestions and abstract submissions are now open. The deadline for receipt of Symposia Suggestions is Friday 25 November 2016. Following a very successful congress in Gothenburg, we are pleased to remind you that the 24th European Congress on Obesity (ECO2017) will take place in the beautiful city of Porto from 17 to 20 May 2017. A programme overview and list of topics can be viewed on the congress website. The call for symposia suggestions and abstract submissions will be issued in September 2016. We look forward to welcoming you to Porto, one of the most popular city break destinations in Europe. We would like to learn about your work. Tell us why leptin resistance is the topic everyone is talking about! 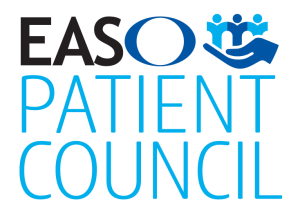 We are delighted to welcome a new member representing Italy to the EASO Patient Council. Marina was kind enough to participate in an interview. 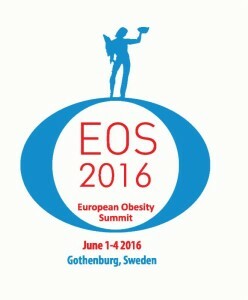 In 2016 the congresses of EASO (ECO2016) and the IFSO European Chapter (2016 IFSO-EC Annual Congress) will merge to create the inaugural European Obesity Summit (EOS2016). This exciting congress will take place in Gothenburg, Sweden from 1 to 4 June 2016. Don’t forget to register for EOS2016, you can do this via the congress website. Remember, the EASO Task Force Teaching Courses will take place on Wednesday 1st June, so plan your journey so that you can participate. There are also special teaching sessions throughout the congress, you can read about them in the main programme. At the recent Obesity Stakeholder Roundtable, EASO reaffirmed support for European Obesity Day, (#EOD2016) which will be held this year on 21 May 2016. #EOD2016 represents an important opportunity to engage and influence diverse stakeholders across Europe. We are pleased to share our interview with Dr Grace O’Malley, chair of the ASOI and a noted research-clinician in the area of childhood obesity. We are pleased to announce that the latest issue of Obesity Facts, 2016 issue 2 is available online. View the issue on the OFA website. This issue of Obesity Facts includes EASL-EASD-EASO Clinical Practice Guidelines for the Management of Non-Alcoholic Fatty Liver Disease. EASO is a strategic partner of EBN and we are pleased to offer all EASO members a dedicated registration rate of €50 to attend our first annual convention on June 23-24. This 1.5 day meeting brings together members of EBN, with guests from EASO, to showcase scientific partnership capabilities and understand all aspects of successful collaborations, including funding, IP, skills and of course, exploitation. Delegates attending include universities, SMEs, large companies and funding providers and it is an exclusive gathering of proactive, partnership-oriented scientists. You are warmly invited to join EBN members in Brussels in June and you can see full agenda and also register through the website here. We look forward to seeing you in Brussels and you are welcome to contact Claire Skentelbery on any aspect of the conference. Just use the code EASO2016 when you register. Catherine Gibbons is an exercise physiologist, and is particularly interested in exercise, physical activity and sedentary behaviour in the control of appetite and obesity. We are pleased to announce that the MooDFOOD EU Project has recently published some interesting papers. Visit the project website to view summaries. Members of the European Parliament are leading a major new initiative to tackle Europe’s rising obesity epidemic, which currently costs governments more than €70 billion a year in healthcare expenditure and lost productivity. Our colleague Sólveig Sigurðardóttir has been awarded a significant community prize by Fréttabladid, the largest Icelandic newspaper, for her work campaigning against ‘fat shaming’. She is photographed here with the President of Iceland Mr. Ólafur Ragnar Grímsson, who presented the award. Sólveig has been campaigning in Iceland for years on this issue and EASO congratulates her on this impressive national recognition. We are pleased to introduce you to the newest Patient Council Representative from Belgium, Joyce Verhoeven. The MEPs, led by MEP Alfred Sant (Malta S&D), have launched a Written Declaration highlighting the prediction that by 2030 over 50 % of Europeans will be obese. In some countries the number of people who will be overweight or obese may even exceed 90%. 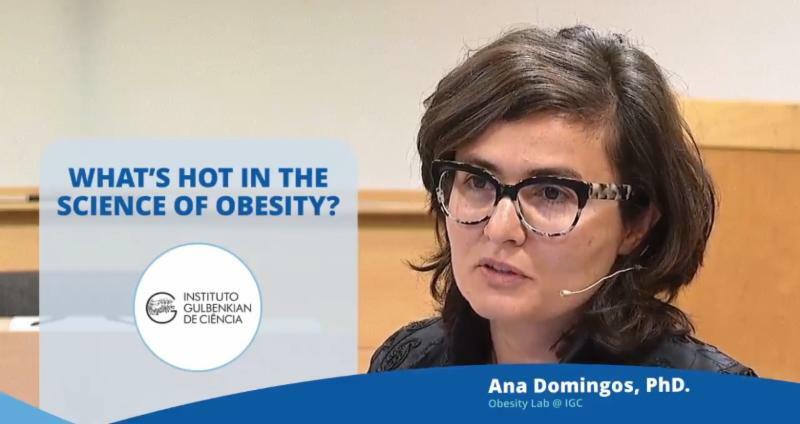 The initiative calls for the European Commission and the European Council to work towards a Europe-wide recognition of obesity as a chronic disease. Speaking at a Healthy Breakfast event, held for MEPs at the European Parliament to launch the Declaration on 26 April, Mr Sant stressed that obesity is complex and is caused by many factors, including medical, cultural and socioeconomic dynamics. “This being the case, there is an urgent need to recognise obesity as a disease in order to ensure better mobilisation of resources when it comes to the prevention, treatment and care of the disease,” he said. Among other speakers at the event were Dr Roberto Bertollini, Chief Scientist and WHO Representative to the EU; Dr Nathalie Farpour-Lambert, President Elect of the European Association for the Study of Obesity (EASO); and Ellen Govers from the European Federation of the Association of Dietitians. The World Health Organization says that both societies and governments need to act to curb the growing obesity epidemic. “National policies should encourage and provide opportunities for greater physical activity, and improve the affordability, availability and accessibility of healthy foods. They should also encourage the involvement of different government sectors, civil society, the private sector and other stakeholders,” says WHO. The MEPs who have jointly initiated the Written Declaration with Mr Sant are Enrico Gasbarra (S&D), Marc Tarabella (S&D), Fabio Massimo Castaldo (EFDD), Patricija Šulin (PPE), Giovanni La Via (PPE), Tomáš Zdechovský (PPE), Ivan Jakovčić (ALDE), Edward Czesak (ECR), and Ángela Vallina (GUE/NGL). You still have a chance to contribute to the EOS2016 scientific programme. We will accept Late Breaking (Hot Topic) abstracts between 1st and 25th March 2016. Please visit the congress website to submit. 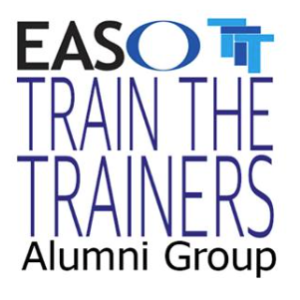 EASO Task Force Teaching Courses will take place on Wednesday 1st June. Please plan your journey so that you can participate. We are pleased to present our interview with Dr Philip Schauer, regarded as one of the top 5 physicians in America. We are pleased to announce that British Medical Journal has published a blog on the SPOTLIGHT project, looking at the lessons on community-based interventions. We are pleased to announce that the latest issue of Obesity Facts, 2016 issue 1 is available online. View the issue on the OFA website. We are pleased to announce that the MooDFOOD EU Project has recently published some interesting papers. Visit the project website to view summaries. Alexandra Fraisova represents patients of the Czech Republic via the organization STOBklub, a patient organization of and for people with weight management challenges and those who strive to live healthier lives. We are pleased to share our interview with the Patient Council Representative from Belgium. Thanks to all colleagues who submitted symposia suggestions and abstracts. We received a record number of submissions and authors will be informed of the status of their abstract by mid-February. In the meantime, the main scientific programme is regularly updated on the congress website. Gothenburg has a lot to offer outside the congress. After some intensive scientific discussion you might like to visit the vibrant city centre, take a boat trip or let your hair down at the fairground! Ruth Loos, PhD will participate in a review session on ‘personalised treatment of obesities’, giving a lecture on epigenetics. She will also coordinate a teaching workshop on the topic. For EASO one of the most memorable moments of 2015 occurred on 6 June, when the Milan Declaration was formally presented during the Milan Expo in Italy. Read more. At the recent Obesity Stakeholder Roundtable, EASO reaffirmed support for European Obesity Day, (#EOD2016) which will be held this year on 21 May 2016. #EOD2016 represents an important opportunity to engage and influence diverse stakeholders across Europe. Read more. We are pleased to announce that the latest issue of Obesity Facts, 2016 issue 1 is available online. View the issue on the OFA website. Patient Council Steering Committee member Sólveig Sigurðardóttir was recently interviewed by the Icelandic National Broadcasting Service – Ríkisútvarpið. Read more. On 13th January 2016 EASO convened a Roundtable meeting in Brussels on obesity in Europe. More than 30 stakeholders took part in the discussions, including medical professionals, patients, representatives from the World Health Organisation (WHO), Members from the European Parliament (MEPs), and some of the leading European organisations involved in the many illnesses for which obesity is a gateway disease. Read the full report. Help us to design a programme you want to see! Be a part of the official congress programme and submit your abstract before the submission deadline of Friday 15th January 2016. Abstract submission is free and we encourage all colleagues with an interest in obesity to submit. View the main programme topics to see where your work will best fit. The main scientific programme is regularly updated on the congress website. 2016 EASO Awards: Applications process now open! Download the 2016 Awards Criteria document for guidance, and use the 2016 EASO Awards Application Form to submit your application. The EASO OMTF European Guidelines for Obesity Management in Adults are published in OFA 2015 issue 6. Read the guidelines on the EASO website. The latest edition of Obesity Facts is now published, and is available Open Access on the Obesity Facts website. Read more on the EASO website. EASO is delighted to introduce readers to Professor Hans Hauner, editor-in chief of Obesity Facts, the official journal of the …Read more on the EASO website. Meet Carlos Oliviera, the EASO Patient Council representative from Portugal. Patient Council member Ken Clare (UK) attended the 3rd Bariatric Rehabilitation Congress, which took place in Copenhagen in November 2015 …..
Read Ken’s report on the EASO website.